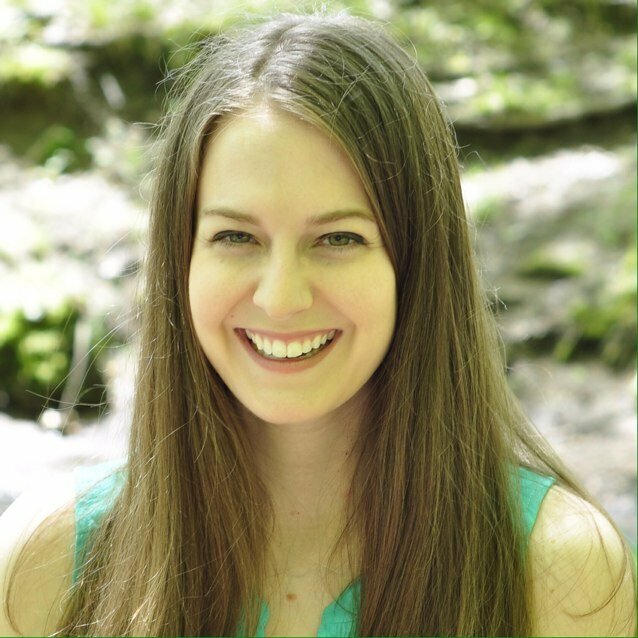 I recently tried a product that changed everything I know about doing laundry, and I’m officially hooked. One of my least favorite parts about washing clothes is adding the detergent to the load. The bottle is heavy, I never really know how much to pour, and the cap always gets gross and sticky with soap residue after I use it. So, when I came across Dreambly Laundry Sheets, I was seriously intrigued. The all-in-one laundry gems can replace all those bottles in your laundry room. Just one sheet is a detergent, stain remover, fabric softener, whitener, brightener and static remover. 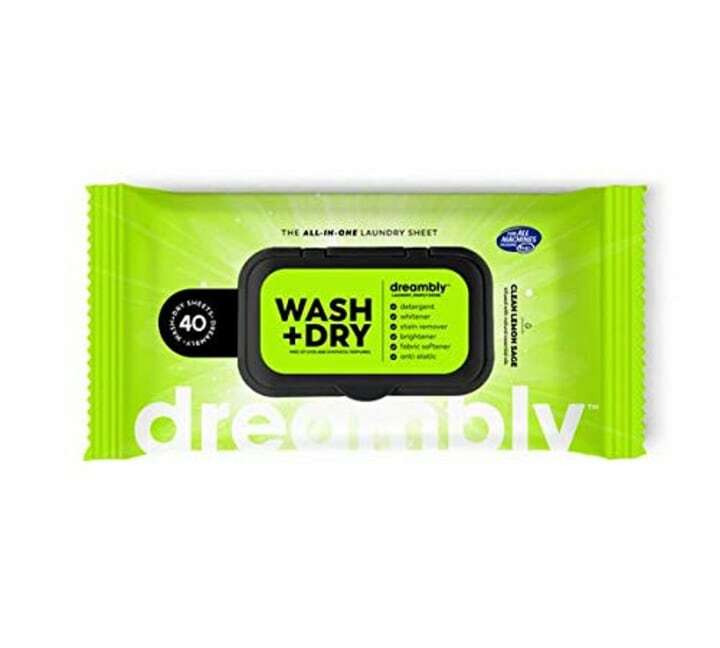 Dreambly Laundry Sheets come in a package that's similar to wet wipes. 1. Toss them in with your laundry. The package comes with individual sheets (picture a wet dryer sheet) that you throw in with your wash: one sheet for a normal load, two for a heavy one. They can be used in any kind of washing machine and are made with all-natural ingredients. Though the package says the sheets have a clean lemon sage scent, it’s very light. I found it smelled fresh but not too strong, which is my preference. The laundry sheet is about the size of a dryer sheet, but it's wet with soap and goes into your washing machine first. 2. Transfer them directly from the wash to the dryer. Once the wash is done, you just move the sheets with the clothes to the dryer, and they act as dryer sheets. My clothes felt fluffy and didn’t have any static cling to them when I took them out. Mission accomplished. 4. You can also use them to clean your machine. According to the company, the laundry sheets have an antibacterial solution that constantly cleans and disinfects your washer with each load. If you want to get it really clean, you can throw three or four sheets in an empty machine and run a clean or heavy cycle at a high temperature. All the ingredients in Dreambly Laundry Sheets are natural and biodegradable, according to the company. The scent comes from essential oils, and there are no perfumes or synthetic dyes. As with anything you use that comes into contact with your skin, though, be cautious of sensitivity or allergic reactions from certain ingredients. If you have a reaction, stop using them immediately. I think that anyone looking for a way to streamline the chore of laundry can benefit from this product, but as I was using it, I thought about a few groups of people these sheets are especially great for. 1. Busy parents: When you’ve got a kid hanging on your leg as you’re doing laundry, it’s much more quick and easy to just toss the sheet into the laundry versus having to measure and pour liquid detergent in there. Even if it saves only a minute, we all know that’s valuable time! You can do a whole load of laundry with only one product ... no measuring and no heavy bottles! 2. College students: I wish I had this when I was living in the dorm. It’s a lot lighter to tote to a communal laundry room than a huge bottle of detergent. Plus, it’s pretty much foolproof, which is great for those who are just starting to do laundry on their own. 3. Laundromat users: If you don’t have a washer and dryer in your home and you either use a communal one in your building or at a neighborhood laundromat, these are great since you don’t have to tote a heavy detergent bottle around.